Compost is a collection of organic matter that has decomposed to form what is often called Nature’s Black Gold or humus. Whether you are an advanced organic gardener, or a beginner at making compost, this composting guide will tell you what you need to know about making and using nature’s fertilizer. 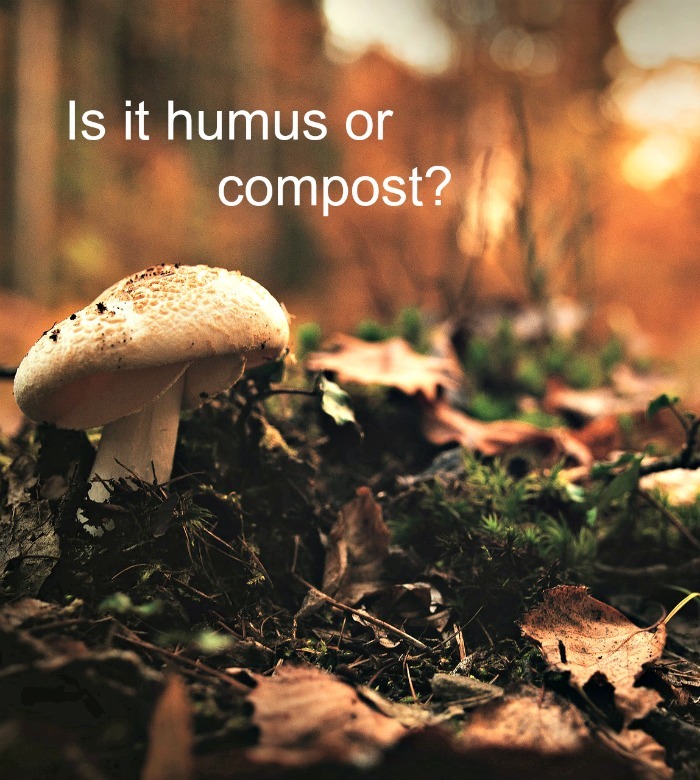 The terms compost and humus are sometimes used interchangeably but they are actually two different things. Humus is found naturally in soil. Think of the floor of a forest. The conditions there are perfect to turn decaying material naturally into organic matter in the soil. On the other hand, compost is man’s attempt to mimic Mother Nature by helping this decaying process along in our backyard compost bins. I have written many articles on the topic of composting. It is very popular with readers of my blog. I thought it would be a good idea to bring the information here into one page so that you can get your questions answered easily. Be sure to check back often. Each time I write a new article on the topic of composting, I will add a link to it here for your convenience. Let’s get started with this Composting Guide. Isn’t compost just a homemade fertilizer used by organic gardeners? Why not just but some fertilizer and be done with it? Do you know that we currently throw away enough food scraps and garden waste to make up about 30% of the materials in landfills? Landfill sites are ugly and increase in size all the time. 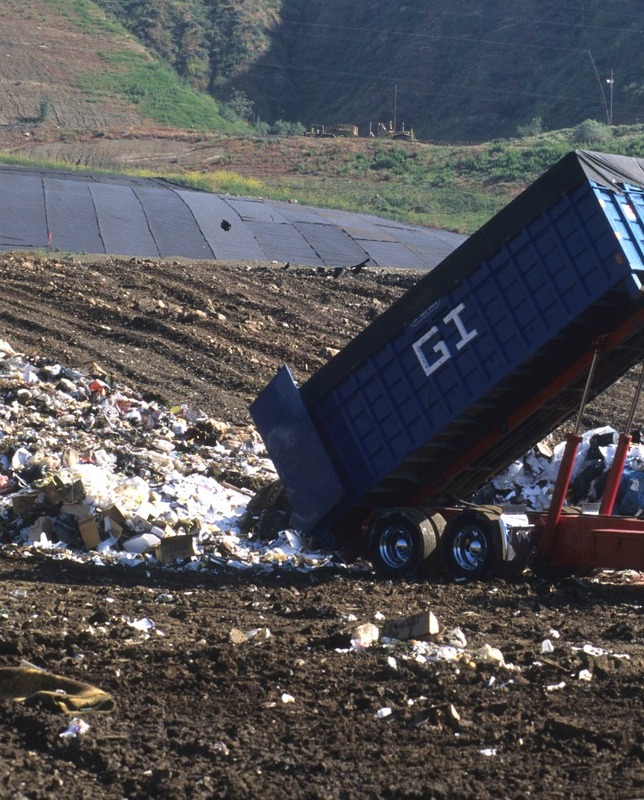 .There are many negative issues associated with landfills, including the toxins and greenhouse gasses they produce. Instead of adding to this problem, why not learn what you can about making compost? Taking the time to make compost means that you will be returning valuable nutrients back to the soil. Compost is a very mild, natural fertilizer that releases the nutrients slowly to the soil and won’t burn tender perennials and vegetables. If you use compost in your gardens, you will likely have improved plant growth and a much better yield if you grow vegetables. Compost piles can be as simple as a mound of discarded garden clippings enriched with kitchen scraps to large multi bin contraptions that take up lots of room in your yard. Garden Centers even use them for attractions! 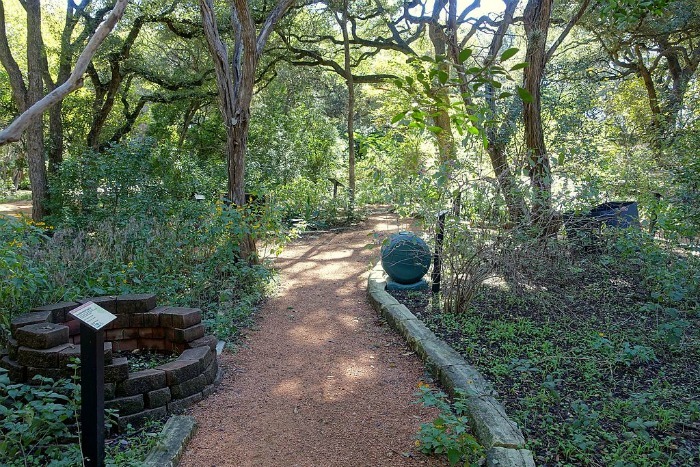 The Zilker Botanical Garden in Austin, Texas even has a rambling compost demonstration garden where they teach visitors to recycle their kitchen waste and yard trimmings to generate free soil conditioner. You can even go home with a counter top compost collector if you take the class! 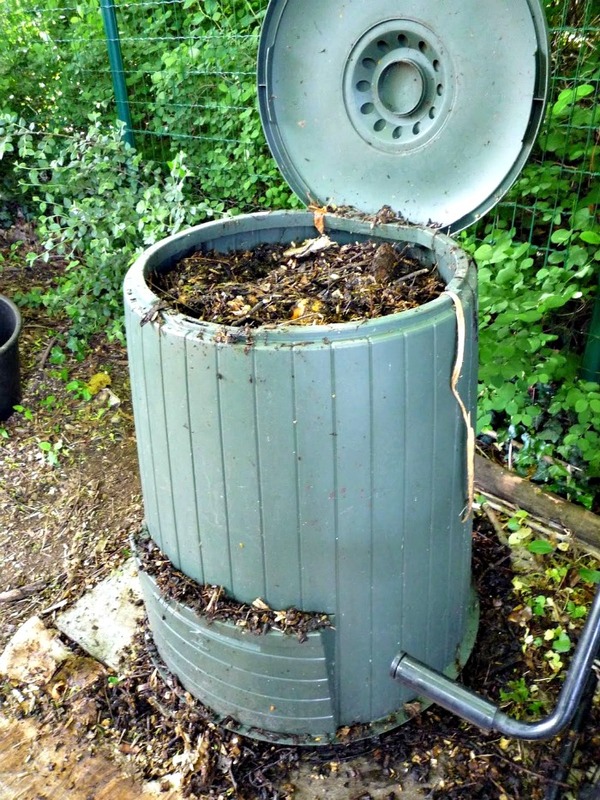 Not all compost piles require a bin or large area of your garden either as this article shows. What do I need to know to start a compost pile? Compost piles are free. 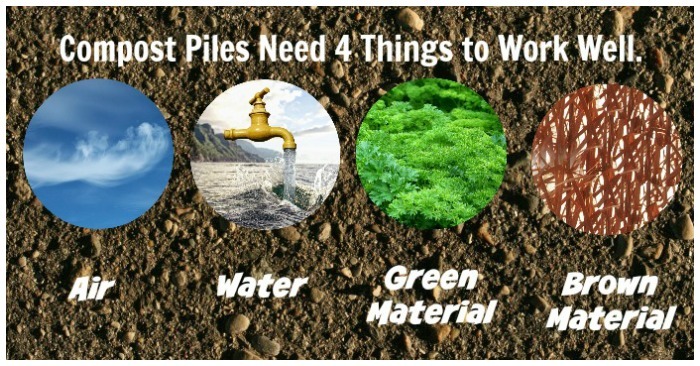 They need just four things: water, air, green material and brown material. 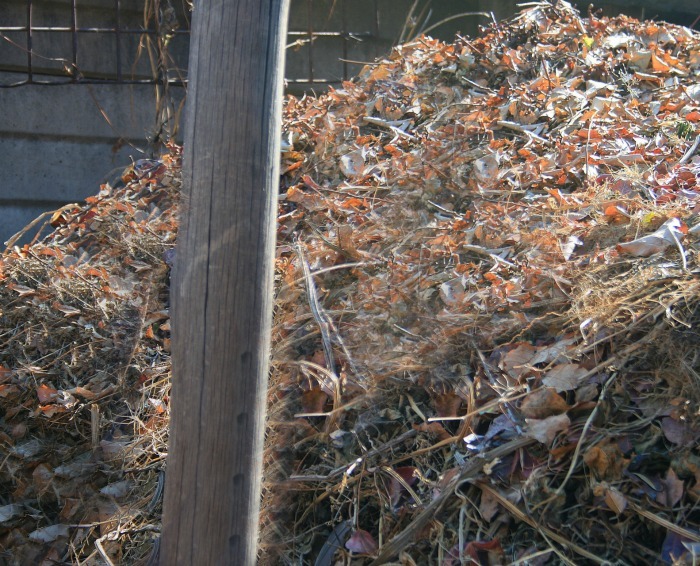 Check out this article to find out more about making a compost pile. What goes into a Compost Pile? You may thinl that just dumping garden cuttings and kitchen scraps in a big pile in the back yard is all that you need to do to end up with a compost pile. Even though composting is simple enough for beginners, it’s actually a bit more complicated that this. The right mix of discarded items really does matter. These articles will point you in the right direction. 12 Things you should never compost – Not everything belongs in a compost pile. It’s not a garbage heap! Weird things you did not know you could compost – You mean I can put that on the compost pile? On the Spot Composting – Put plain lunch bags and kitchen scraps to work. Trench Composting with Kitchen Scraps – Using small trenches to put your organic matter right where you want it to go. 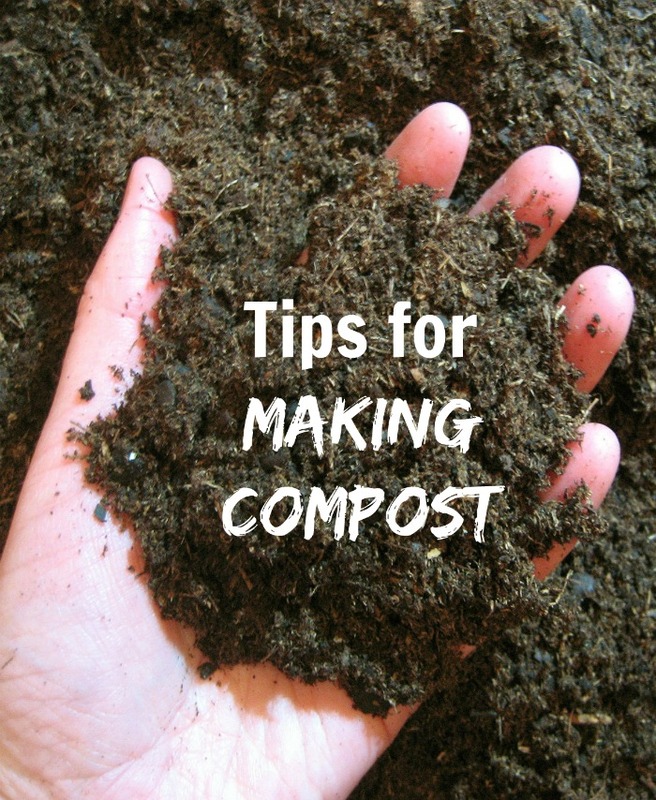 Once you have done the other things that are in this composting guide, there is really not much that needs to happen once to keep the compost pile going. These articles will explain a few maintenance tips. Planting in compost – Use the whole pile to grow butternut pumpkins! Using household items to turn a compost pile – You will be surprised what you have on hand that will accomplish this job easily. Looking for the perfect composting supplies to get started? These bins, aerators and under the counter composting products may be of interest to you. 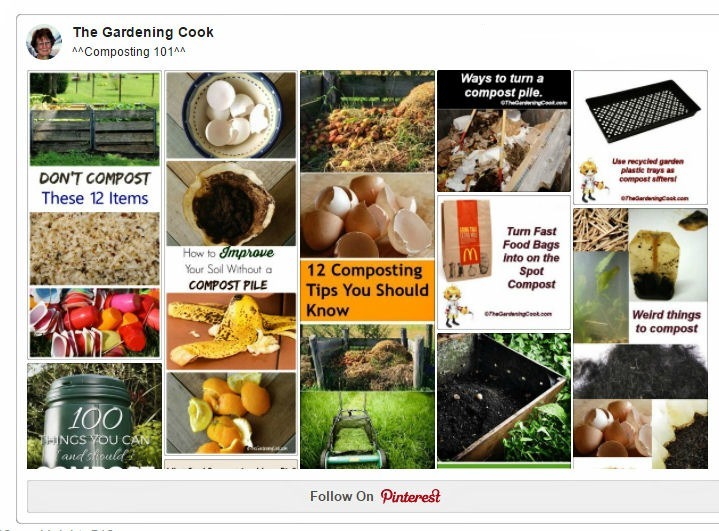 For More Ideas on the Topic of Composting, be sure to check out my Pinterest Board Composting 101. Looking for more Recycling ideas?